Just to put it out there, I am super fussy about false lashes. They have to be 100% perfect. I am not using them as a beauty accessory; I use them as a way to cover signs of my hair loss so have far more of a practical function, and a huge emotional function to- perhaps why the stakes are so high. I used to solely rely on them for confidence, fearing that without a natural pair that would look like my own lashes, people would notice my hair loss (although, this didn't stop me from avoiding eye contact with people and thinking people would see through my disguise anyway). As such, my false lash journey has been filled with psychological reliance, and only a pair that ticked all the boxes would be purchased in case a 'dodgy' pair let my disguise slip. 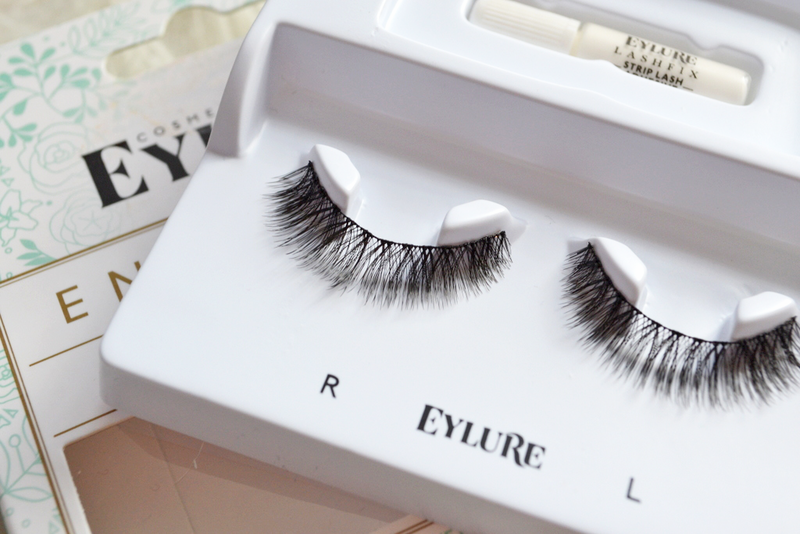 I love Eylure's false lashes. I love the huge range of styles they create, I love how lightweight they are and how seamless they look when applied. They have created something for everyone and every need, which is why I always recommend them for trichotillomania / hair loss- you're bound to find a style that you click with. This 'Lily' style from the Enchanted range ticks all the boxes for me. 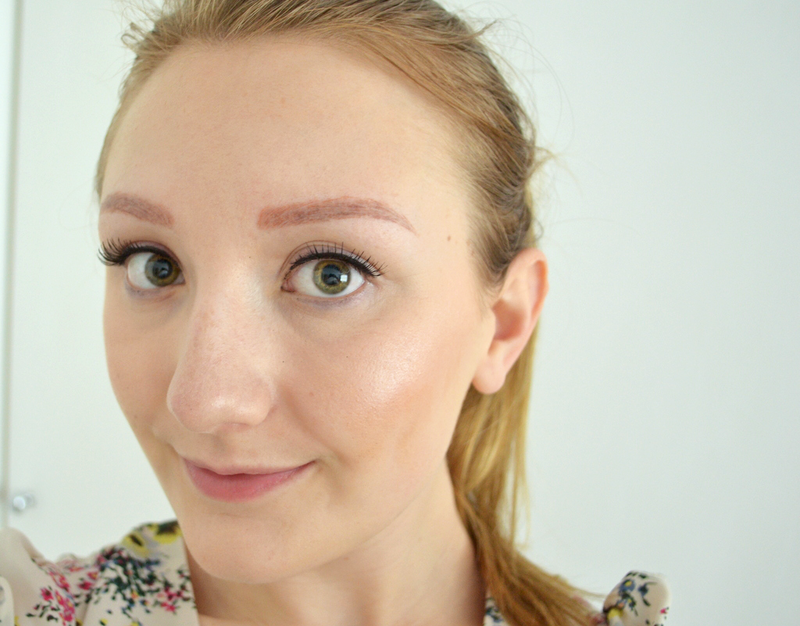 The length isn't too long so as to make them look like spiders on my eyes, the subtle volume gives that little bit of flutter and the way the lashes overlap along the 'spine' of the lashes means that any gaps are covered when I look down; essentially, when on, they look like my own lashes. As a hair loss sufferer, they are great. 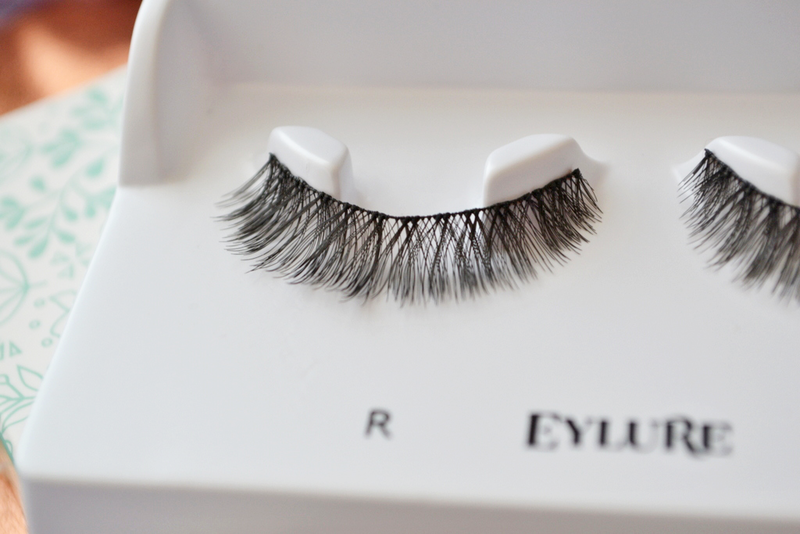 However, the one thing that's been niggling me about these lashes is the quality itself. 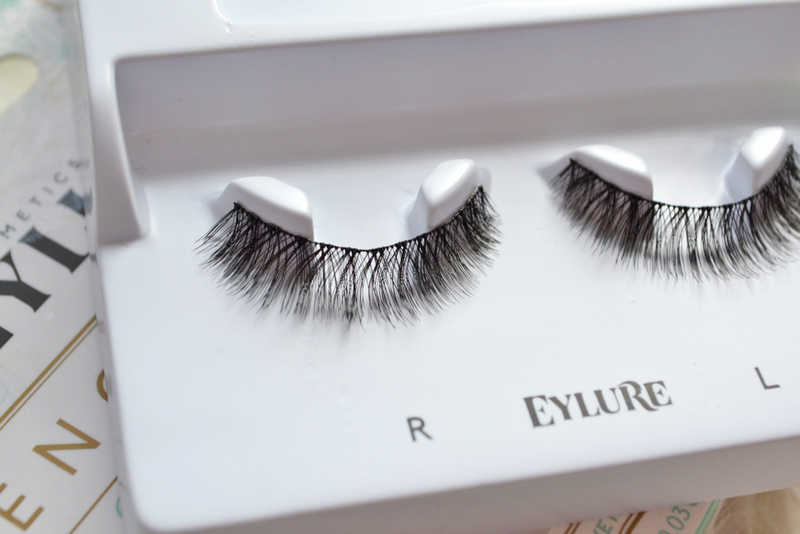 I have never had an issue with Eylure lashes before, so I don't know if I just happened to pick up a faulty pair. As you can see from the photo, the spine of the lash is all bent out of place- this was the case before I even peeled the lashes from the packaging. Even after trying to mould the lashes into the usual curve of my lash line, it was as if they were stuck in this misshapen state and would ping back straight away. When I tried to place them on my lid, they wouldn't go neatly across my lash line like they should. This meant that the lash 'spine' was all wiggly, random parts higher up than others- it generally looked messy. Luckily, I usually pop some liquid eyeliner over the top anyway so it wasn't a huge deal, but it meant you couldn't have a 'natural' look (ie, the lashes on their own or paired with a smudge of kohl eyeliner) even if you wanted to. 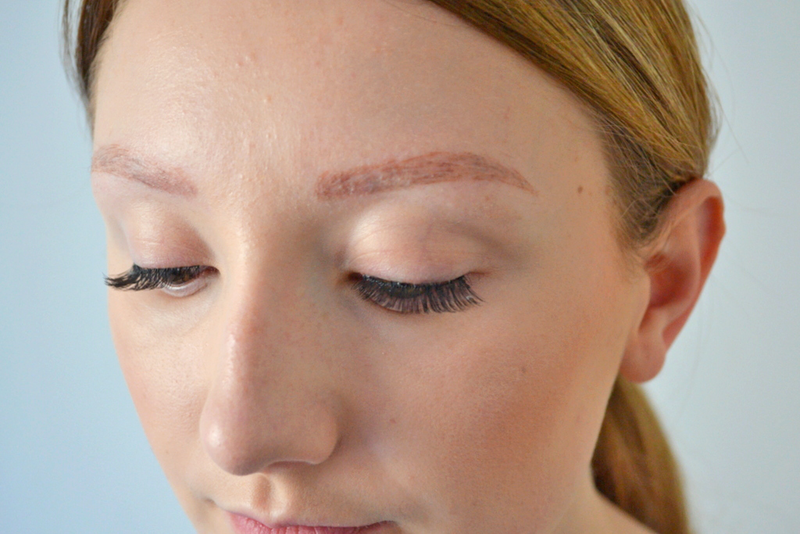 Like I've said, this may have been a one-off faulty pair, but it's something to look out for with lashes- it proves annoying when trying to cover hair loss. 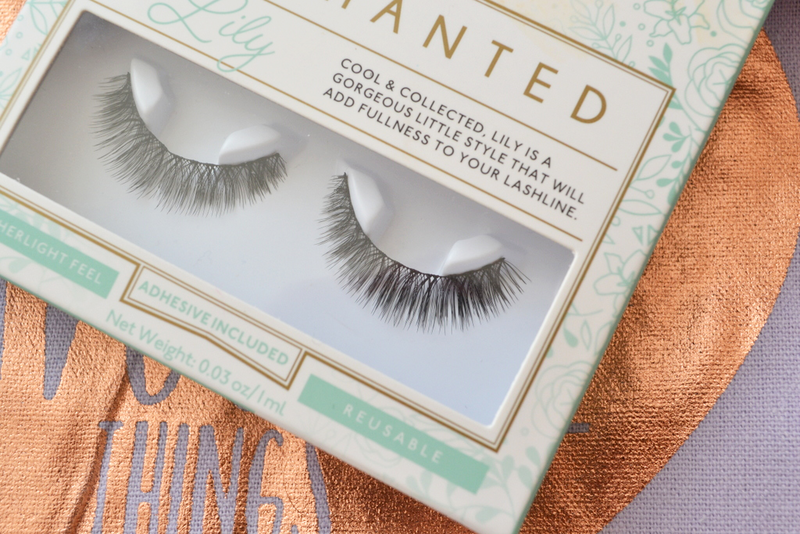 Because of this, they haven't been my go-to pair for covering my lack of lashes, but they definitely aren't bad. If they didn't have the bending issue, I think they would be very high up my list- I would certainly recommend trying them out for covering hair loss if you're looking for a new pair! 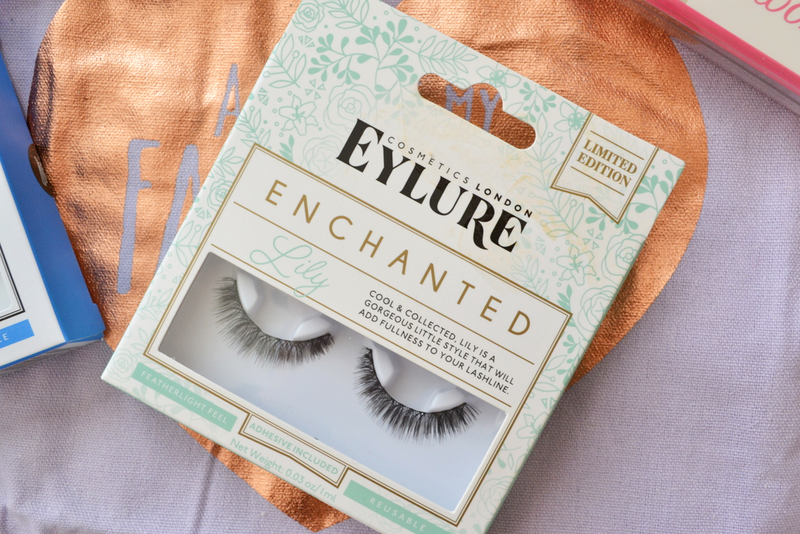 Have you tried any of Eylure's Enchanted range? Have you had that issue with false lashes before? I love your reviews, so honest and you are interested in exactly the same type of eyelashes as I am, for the same reasons. Great content! Thanks so much Sian! 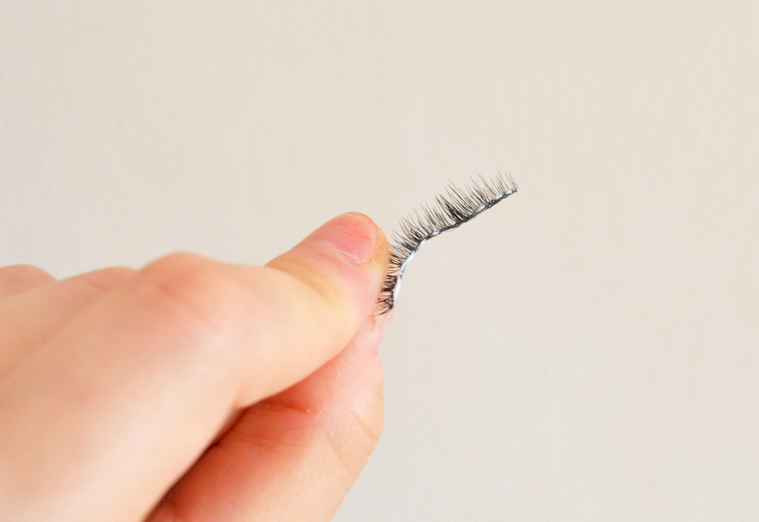 The never-ending quest for perfect trichotillomania false lashes....!